How do viewers deal with a two-dimensional picture space to make sense of its language and rhythm, or imagine the artist’s intent? 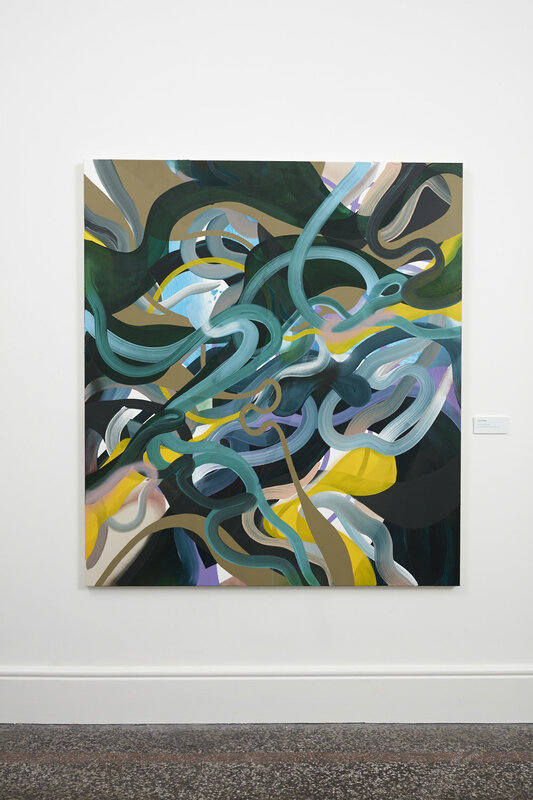 How are New Zealand artists dealing with perspective while concurrently braving the abstract? These are just some of the questions being tackled by contemporary artists Cat Fooks, Grace Wright and Diane Scott. Through their diverse approaches to structuring paint on the flat picture plane, they can be linked together in their ability to break through surface tension. Like artisan honey, the work in this show has been carefully crafted out of competing flavours: fruity, fresh and sweet, or earthy, nutty and a little bitter. Oftentimes, paint seems to have oozed onto the canvas, flowing and wrapping around itself. Sometimes forms are clearly defined; each line, dot and squiggle immediately visible to the viewer, and elsewhere shapes are cloudy or dark and opaque. Marrying these components into one exhibition, Tastes like honey celebrates and explores the sensuous possibilities of luscious paint on pictorial surface.